Saturday February 9, 2019-Deputy President William Ruto has moved to offer solutions to election losers like former Prime Minister Raila Odinga by proposing some changes in the Constitution. 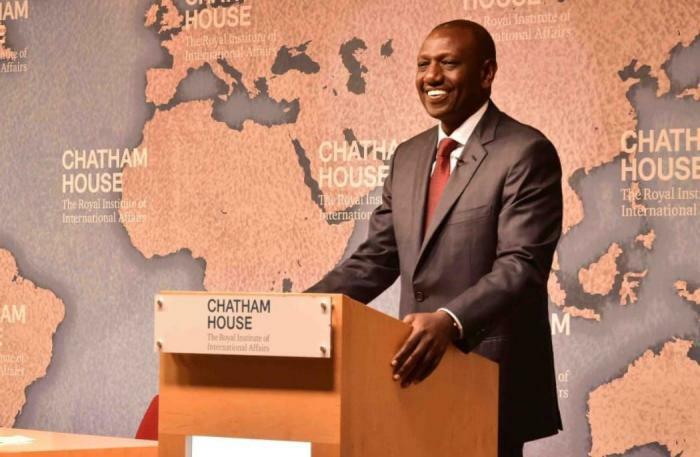 Speaking at Chatham House in the UK, Ruto proposed the country’s laws to have provisions for comforting the losers. He noted that a Presidential loser should automatically become Opposition leader like in the old Constitution. “In a Presidential race, I would propose that the first runner up should automatically be the leader of the Opposition,” Ruto said. He elaborated that it would be better for the first runner up and his or her running mate be offered MP positions automatically. Ruto further indicated that the change of the law should also make the Deputy President the leader of Government in the Parliament and that the same should be applied in the context of the counties.